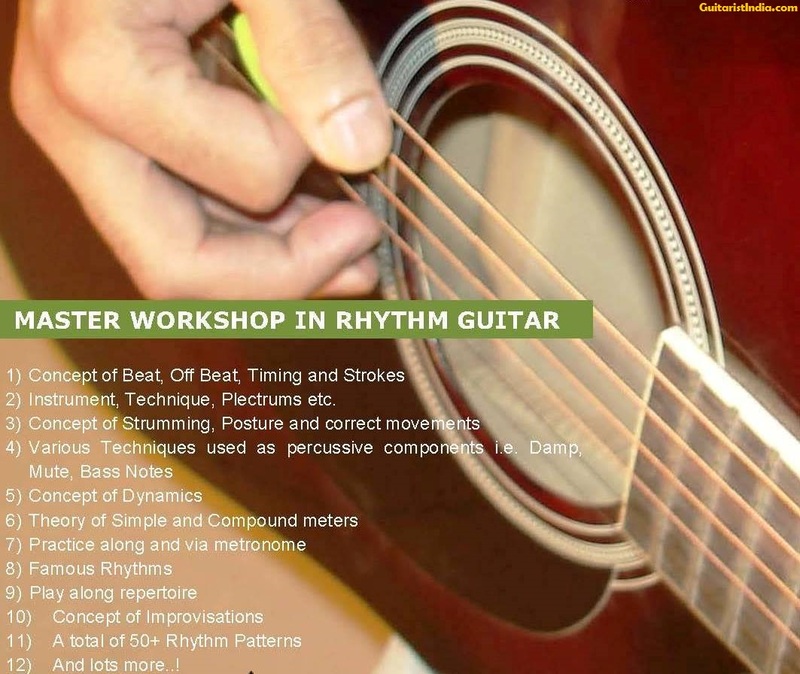 Rhythm Guitar has a lots creativity scope, from rock and pop rhythms to arpeggios, alternate bass patterns, riffs and a plenty of rhythmic styles that includes soul beat, waltz, Bossonova, Pop Bossonova, country and folk rhythms etc. It’s endless as you can improvise a lot and can even design your own rhythm mood. However irrespective of all rhythm styles the concept of pulse and understanding of timing remains common in whatever rhythm style you want to play? Professional Utility of Rhythm Guitar Playing – Rhythm Guitaring is the soul of Guitar because you can know rhythm of few songs and you adapt to millions of songs. Besides that it is something that takes a Guitarist to a career-start as well. You need not to be a great lead player or even know leads but you can click your 1st show and payment if you are good at rhythms. This is the interesting part of guitar that both dimensions of guitar i.e. leads and rhythms are musically connected yet independent verticals and holds separate scope. I have seen guitarists in India who only play accompaniment and proud to hold a career as a rhythm guitarist.